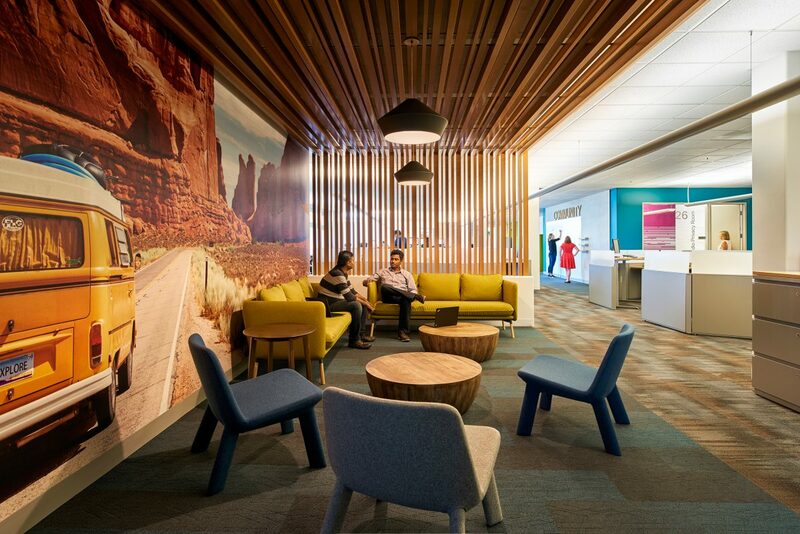 A bold approach to sustainable design for a global networking firm. 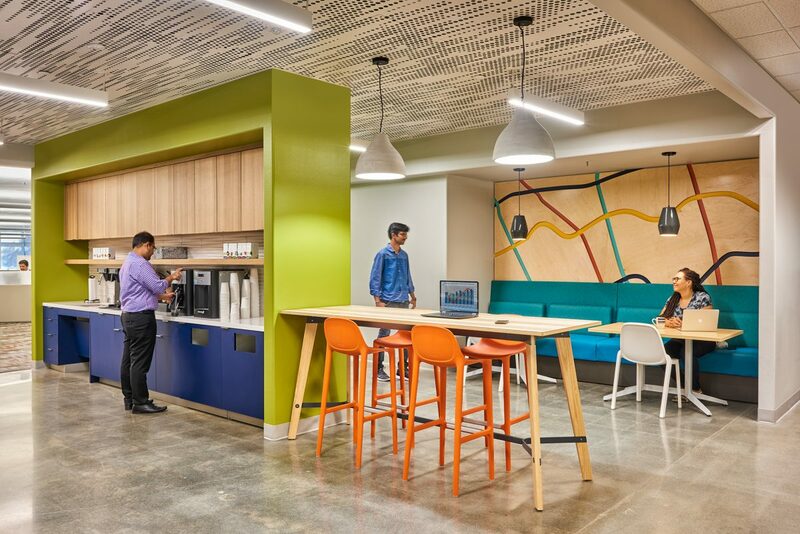 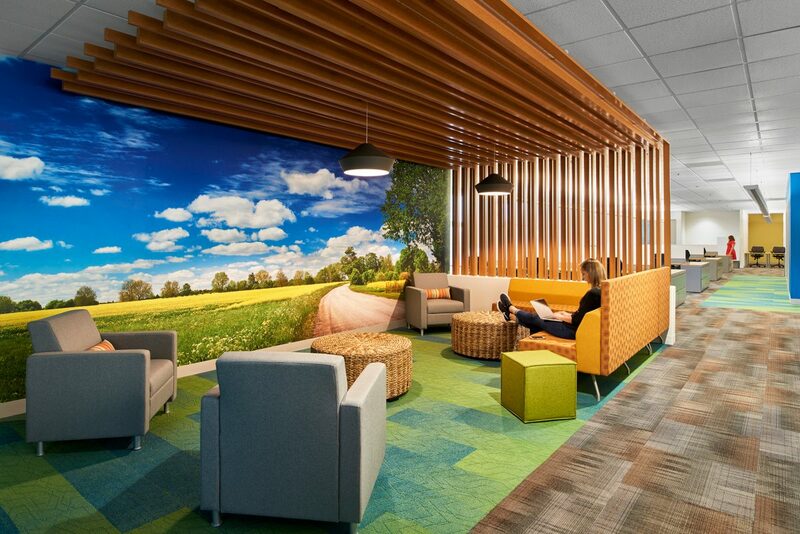 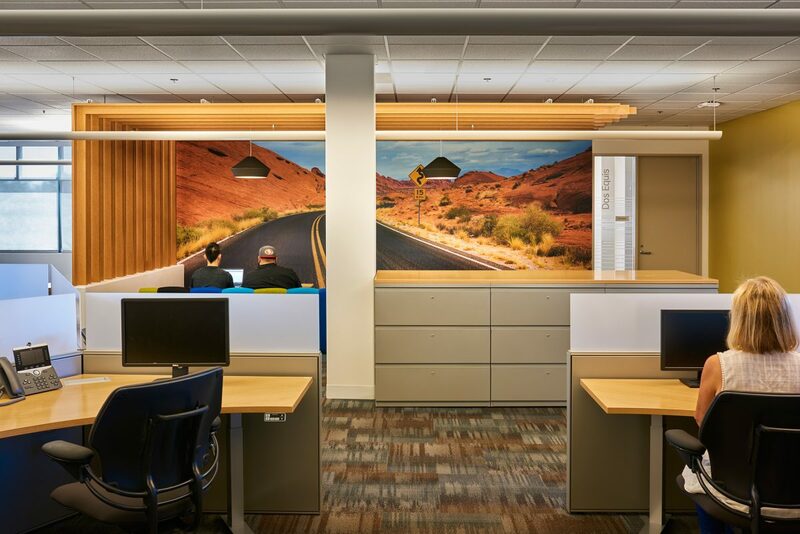 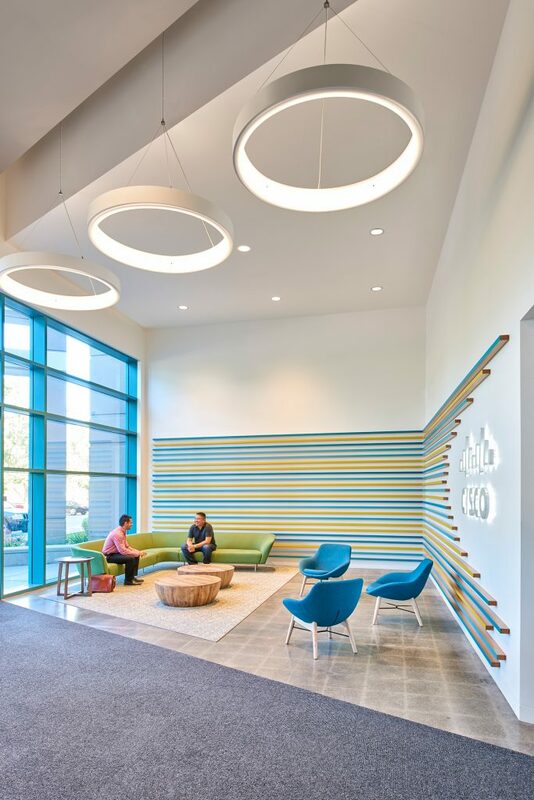 Guided by the California Title 24 standards for repurposing existing construction material, RMW’s interior design for the 87,721 SF office interior energizes focused and collaborative neighborhoods with flexible spaces and dynamic color. 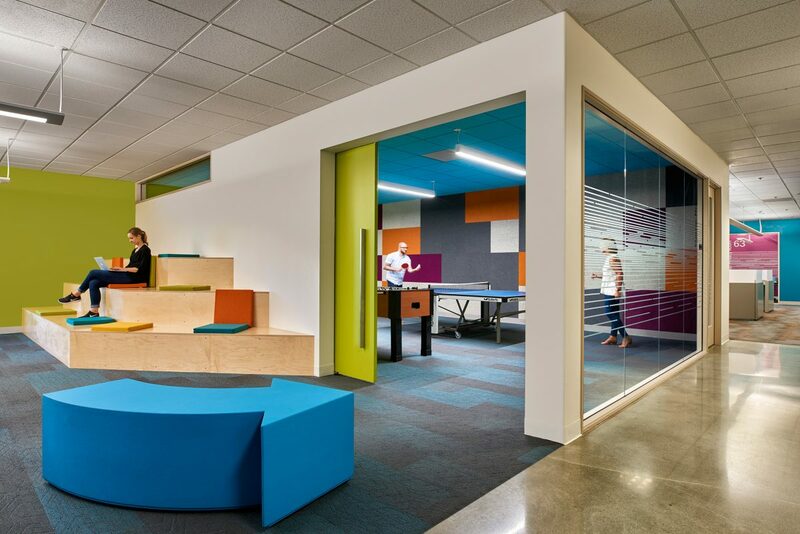 The break area, game room, and all-hands/training space are connected by open banquets and a pocket door to neatly anchor the varied landscape. 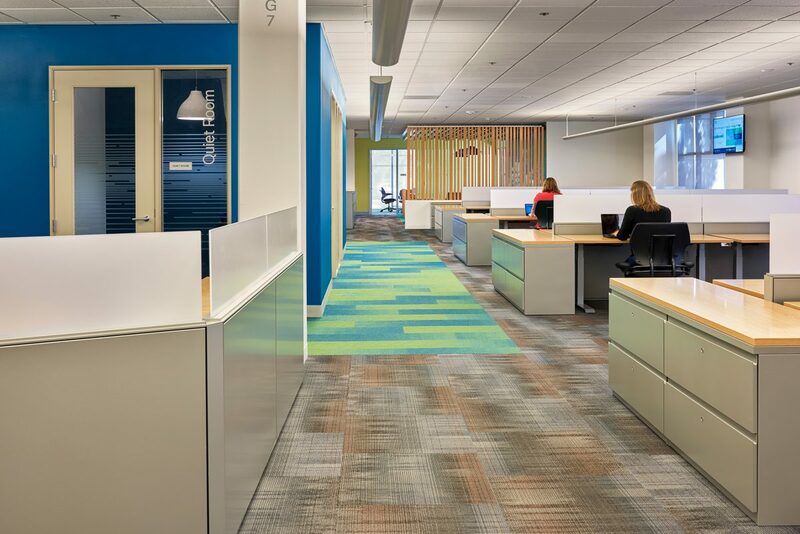 Approximately 90% of the existing construction remained in place – ceilings, lighting, walls and doors/windows. 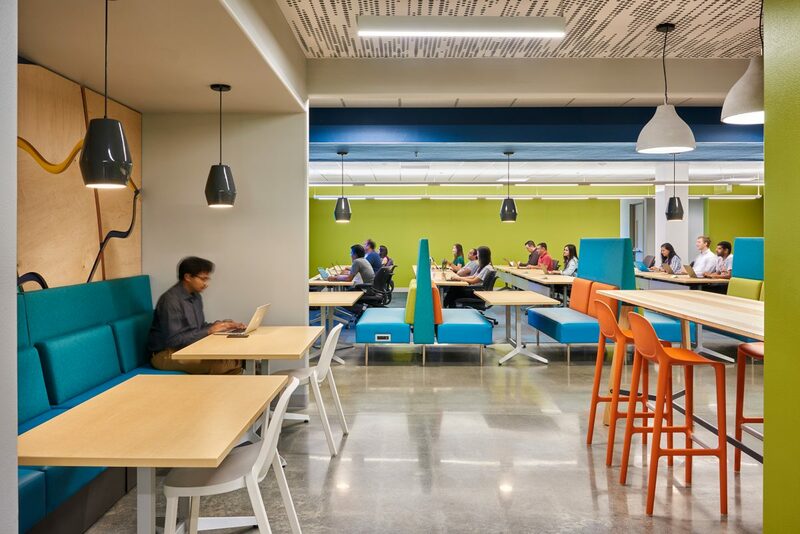 Finishes were refreshed throughout and the interior layout remodeled in select areas to create interactive, collaborative zones. 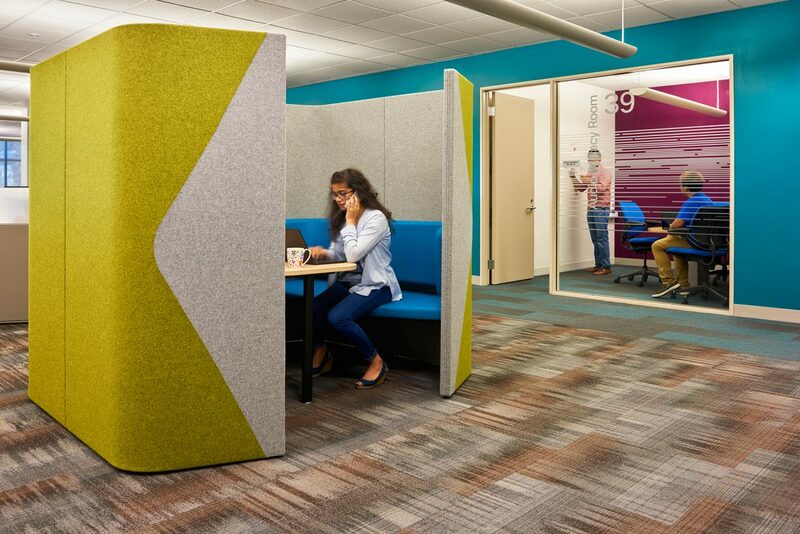 The open office was transformed from existing high paneled 8×8 stations to honeycomb shaped free-address height adjustable stations with a high percentage of free-address meeting rooms and open lounges.